An intensive firming serum for the face and neck that provides an immediate tightening effect. An intensive serum for the face and neck that helps give skin a firmer look and provides an immediate tightening effect for smooth-looking, supple skin and a more sculpted appearance. Long-lasting intense moisture minimizes the appearance of fine lines. Contains the SkingenecellEnmei, Shiseido’s proprietary, youth pro-longing ingredient. Formulated with Licorice Extract and Okura Extract for a more youthfully, tightened look when used along with Shiseido’s regenerating massage exercises. Use every morning and night, after balancing skin. 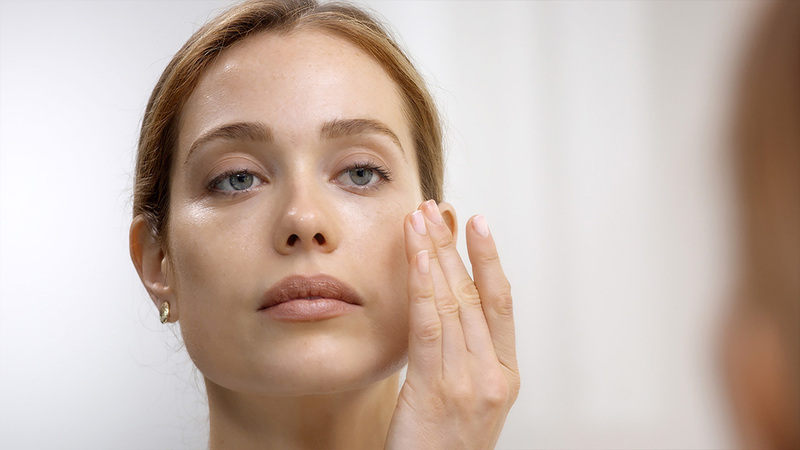 Pump once into the palm of your hand and apply the serum to the cheeks, forehead, nose and chin. 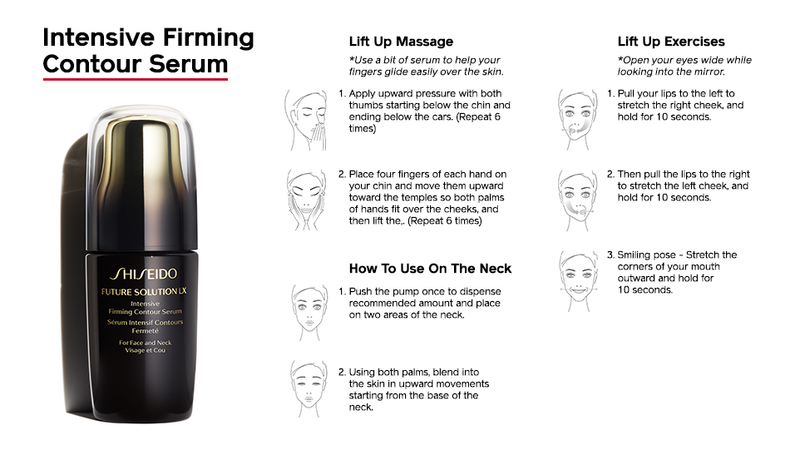 Smooth the serum gently over the face, including the jawline, moving from the center of the face outward. 1. Apply upward pressure with both thumbs, starting below the chin and ending below the ears. Repeat 6 times. 2. Place four fingers of each hand on your chin and move them upward toward the temples so both palms of hands fit over the cheeks, and then lift them. Repeat 6 times. Formulated with Licorice Extract and Okura Extract to help give skin a tightened look with youthful resilience when used with Shiseido’s regenerating message. SkingenecellEnmei helps visibly restore and prolong skin’s beauty and reduce the appearance of signs of aging. Rubus Leaf Extract helps improve the look of sagging.